Visit our FaceBook page and join our community and see what fun we've been up to. Bromeliad Society of San Francisco. We are dedicated to the growth and spread of horticultural and scientific knowledge of the Bromeliad Family (Bromeliaceae) and enthusiasm for the preservation of its species and habitats. 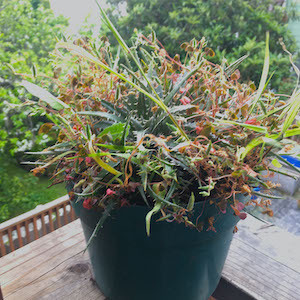 What are your Hardiest Bromeliads for the Bay Area? Be sure to check our Links and Scrapbook. This month we will go over the basics of dividing potting, watering and fertilizing focusing on terrestrials. We’ll also give a bit of a demonstration of dividing and potting up a dyckia. Some pots my be broken and some bugs may be stomped. All part of dividing up plants. Membership is $15US per person or $20US per household annually. Membership includes a Monthly Newsletter sent via email or snail mail. See Photos of past tours in our Facebook Page. 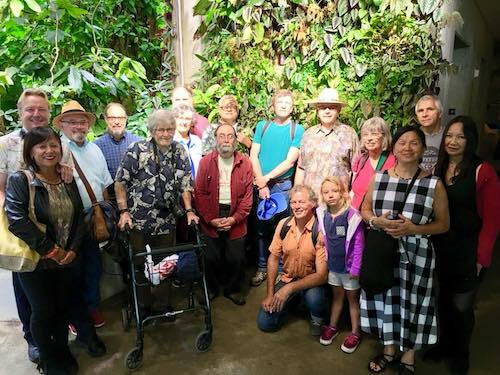 The Bromeliad Society of San Francisco is an affiliate of the Bromeliad Society International, BSI. For complete botanical, habitat and horticultural information and indentification the BSI site is the best place to begin. The BSI publishes a bimonthly color journal with the latest bromeliad information and discoveries and membership is encouraged. 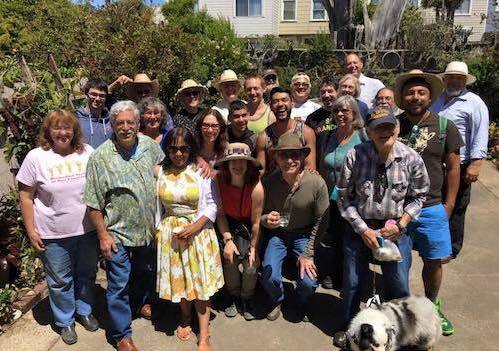 Visit our Links Page to other societies in San Francisco or of similar interest. You will also find information for cultural care and Bromeliad nurseries. Be sure to also check the many links on the BSI site. To contact the webdesigner for this page email Dan.